GN Solids America LLC’s solids control machinery meet the goal of environment protection. While Oil rig perform the drilling into the earth core, it needs to break soil and rocks apart. Some layers often is harder than other so drilling operation will use additive to strength the drill bit to break the layer. The additive that uses combine the rock sometimes will cause the harm of environment. Underground of earth is not totally solid and sometime it contains the layer of water like underground river. When water mix with the drilling process, it contains several of heavy metal ion and anion. Such content in water will change the stability of the drilling fluid that affect the performance of the fluid. When water is in the drilling fluid increasing, the various additives will be added into the drilling fluid. The mixture of drilling fluid and additive is harmful to the environment if reach to surface and not properly treated. The calcium, gypsum. Salt to name a few that mixing with additive is common and needed but harmful to environment. The mud treating system is serving the purpose to contain, filter and recondition the drilling mud for continuous usage. GN Solids America LLC’s advantage is we are the solids control manufacture that made the whole solids control machinery which is custom made the whole mud recycle system to meet specific project’s need for our customers. Our customer are ensure we provide the solids control machinery to meet local environmental standard around the world and dealing with manufacture them self to ensure the best possible price to keep overall cost of rig operation as consist as possible. 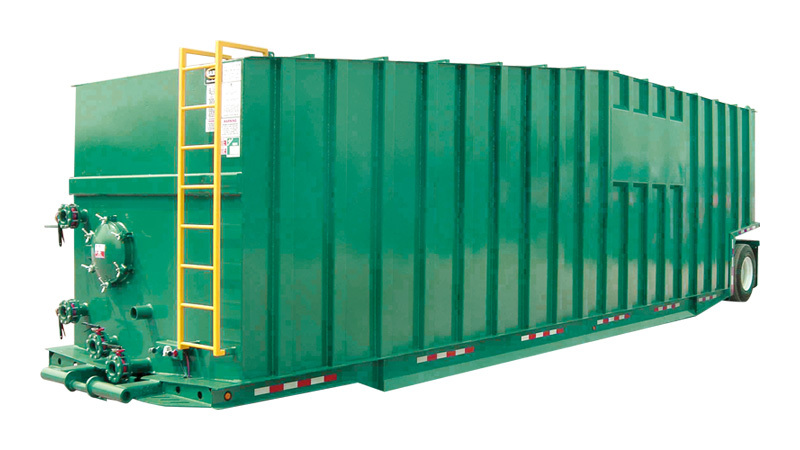 We provide consist stocks of parts and tech personals ready at the request of customers by moment’s notice. There are lots of manufactures in China who can make less-costly machinery and system but adding other facts for operation consideration, GN Solids America is the choice of obvious. GN Solids America LLC is first certified Chinese solids control manufacture by API. Since 2007, we have been exported our machinery over sixty more countries and numbers keep going up. As now, we serve domestic Chinese markets and muti-region drilling project by not only solids control machinery, but also the whole mud system who promote zero-discharge theory. The mud system who promotes zero discharge theory is the drilling mud is filtered and re-use in closed-loop cycle. 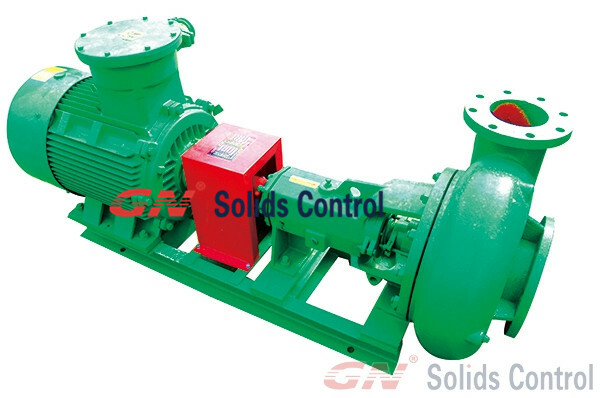 For the drilling mud moving smooth in closed-loop circle, the centrifugal pump is the critical machinery serves in the mud system. GN Solids America is manufacture who makes full mud system without out-sourcing to other manufactures. The basic parts of the centrifugal pump are rotate impeller. The speed of impeller is depends on the use of the motor. The impeller is in the snail-like shell shape casting with curved blade that tied with pump impeller axis and pump shaft driven to perform high speed rotation. The pump casing central suction inlet and suction piping connections, suction pipe bottom with one-way bottom valve. Outlet beside pump shell connects wih outlet piping equipped with regulating valve. The impeller of such a pump is magnetically coupled with the motor, across a separation wall which is resistant to the fluid pumped. The motor drives a rotor carrying one or several pairs of permanent magnets, and these drag around a second pair(s) of permanent magnets attached to the pump impeller. For the centrifugal pumps that function properly, it needs to be filled with mud prior turn on the pump for working at its own function. If the pump casing becomes filled with vapors or gases, the pump impeller becomes gas-bound and incapable of pumping. As mention earlier, GN Solids America LLC performs its own manufacturing of centrifugal pump to provide customers around the world most honest and cost-effective price. When consider solids control machinery, the treating capacity is the major consideration that will take effect of drilling rig operation. After all, the drilling mud the pumped out from the drilling rig need to be treated in time to circulate back to the drilling rig for continuous operation. The first stage of solids control is the drilling mud feeding to the drilling fluid shale shaker. It needs able to manage large feeding volume of drilling mud and do the first stage of filtering in matter of efficiency. The drilling rig operator choose various of mesh of shale shaker screen base on the condition of the drilling mud and need of treating capacity per gallon, it has data to introduce the empirical formula according to the specified condition. The treating capacity is draw by producer specification which is the maximum, some producer attached the shale shaker treating capacity experimental curve to reference for users. Experimental research at manufacture’s factory and operation site around the world have proved that the treating capacity of shale shaker increased following the amplitude and excitation frequency increase, but the factors affect degree is different, the biggest influence is the amplitude. Meanwhile, the performance of drilling fluid, especially the plastic viscosity has the big influence to treating capacity. To meet the demand of our customer in the drilling field, the R&D focus not only on shale shaker only but also on the wear-tear parts of the shale shaker, the shale shaker filter screen. 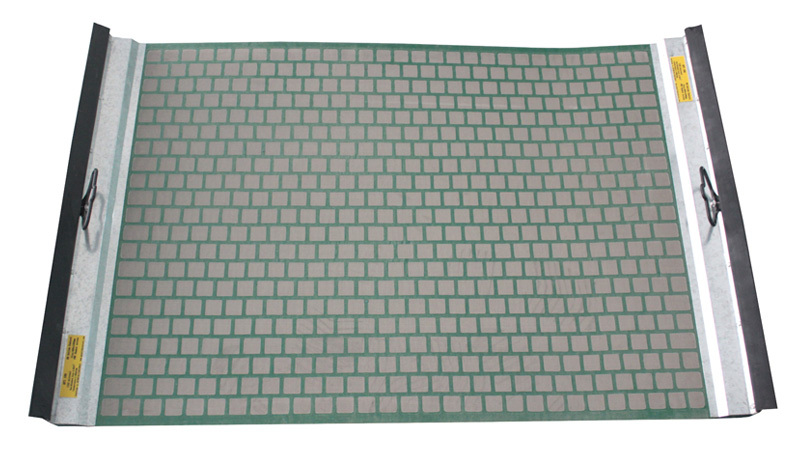 Various mesh manufactured not only need the demand of treating capacity but also durability to reasonable usage for sake of drilling operation. Such demand is needed for keep operation cost in steady to benefit down-stream of oil process to finally reach to everyday consumer like you and I.
GN Solids America LLC keeps consist stock of GNZS594E-HB shale shaker and its composite frame shale shaker screen in Houston Texas, USA for moment -notice delivery. Drilling fluid serve as lubricant for the drilling bit and it needs filter the solids that produce while the drill bit drilling into earth. 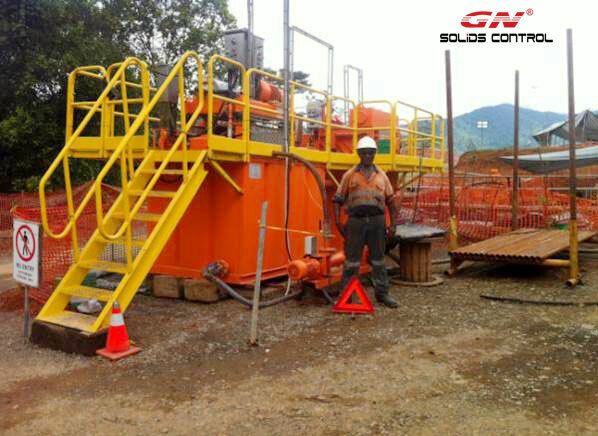 While drilling into the earth, broken solids from the underground mix into the drilling fluid will decrease the lubricant performance and will cost damages of the drill bit that will also result drilling operation on hold that leads increase of operation cost. The solids control machinery ensure the solids separation to ensure the continues operation of the drilling rig to achieve consist operation cost and time efficiency. Shale shaker, Vacuum degasser, mud cleaner and centrifuge are the basic machinery to achieve the filtrations of solids for the drilling fluid. Shale shaker is the first step solids control machinery to filter the drilling fluid that filter the large solids by continue shaking force by motors and various API numbers of shale shaker screen. While it is the first step of filtrations, the result will determine following machineries’ filtering process. Vacuum degasser is use pumps that create suction of pressure in the vacuum tank. The bubble in the drilling fluid need to remove cause the harmful gas that might cause explosion and need the balance of chemical compound of the drilling fluid. Mud cleaner is continue process of the filtration after the shale shaker by eliminating smaller solids that pass through shale shaker screen. The desander, desilter and shale shaker combine as mud cleaner and use different of API number screen to achieve mid level of filtration solids fluids. Centrifuge is machinery use centrifugal force by rotating in rpm force to achieve remove finest solid, recovering barite and controlling the density and viscosity of the drilling fluid to make sure the drilling fluid is debris free as much as possible so the drilling fluid can be return back to the rig.